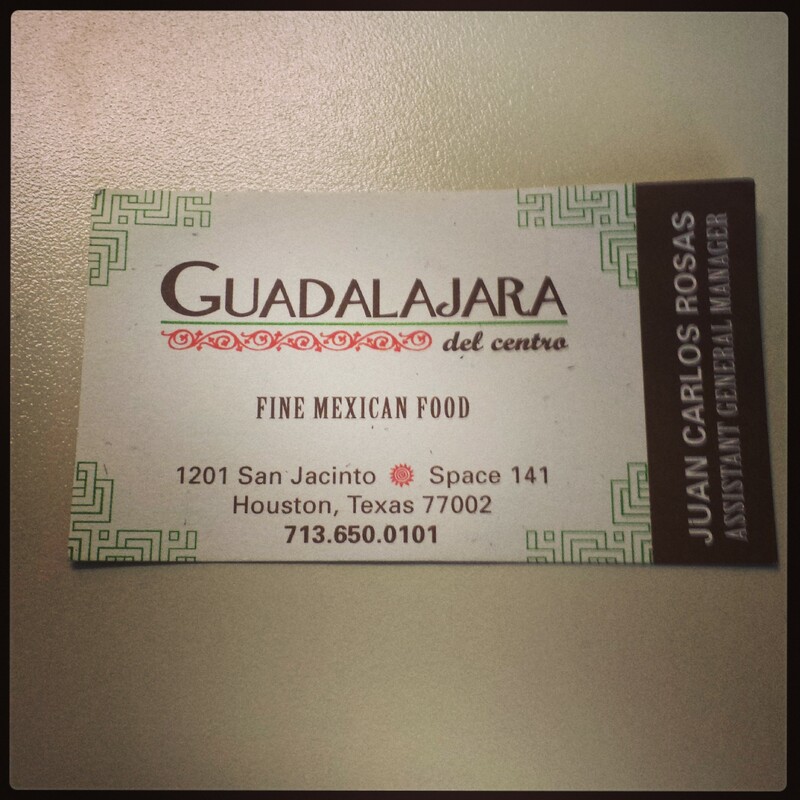 Guadalajara del centro Houston Review: Do NOT charge me extra for cheese, bro. Guadalajara del centro. I will never ever step foot inside of this establishment again. Well. Unless some relatively tall, handsome, smell good young man decides that’s where we’re going on our date. But yeah. Other than that, I will NEVER voluntarily go here. Here’s why. I ordered the beef and shrimp fajitas. which are served with Mexican rice, frijoles charros, pico de gallo, grilled onions, guacamole and cheese, for $22.00. I’m kind of a funny eater, though, so I don’t want most of the stuff that comes with it. I didn’t want the rice, beans, pico, or guacamole. ALL I wanted with my fajitas was lettuce, tomatoes, cheese, and sour cream (so basically a taco). FIRST of fawkin all. WHO is “HE”!? And did you explain to him that I had no cheese in the first place!? And that I’m owed AT LEAST $10 worth of cheese and sour cream since I got rid of half my meal!? But. By this point, I just wanted to finish my food. She saw the initial look on my face though cause she immediately got to apologizing. She then came back and my friend wanted more tortillas. The waitress then came to me asked if I wanted more tortillas. My response, “Is that going to be extra?” The waitress got annoyed and basically walked away. I felt like this was completely appropriate. My friend didn’t and hit me! Whatever. I needed to know. Ultimately, my displeasure was reflected in my tip. So. To make matters worse, the reason my friend and I went there in the first place was because they had a promotion going that if you came to eat there and parked in a certain parking garage to go to the rodeo, they would validate your parking. So we got to the manager to get our parking validated. He asked my friend to show proof that we’re going to the rodeo. She showed him our tickets. Y’all, he took those tickets and looked them over as if he was trying to authenticate $100 bills. It was insulting. He literally sat there and looked back and fourth and examined our seat numbers, date, everything. The parking in the garage was $5. Are you kidding me? THEN after all of that, he “didn’t have anymore validation tickets” so he gave us his card and told us to tell the attendant at the parking garage that he is validating our parking. So yeah. We ended up paying for parking. And they have the NERVE to call this “fine Mexican food.” Tuh. Chile I could’ve gone to Casa Ole. ^^I believe that’s the “he” that waitress kept talking about and that was definitely him inspecting our tickets as if they were the nuclear missile launch codes. “Rick James” – Keyshia Cole feat. Juicy J (New Music) <--- Why, Father?